I'm not really a big fan of Christmas. 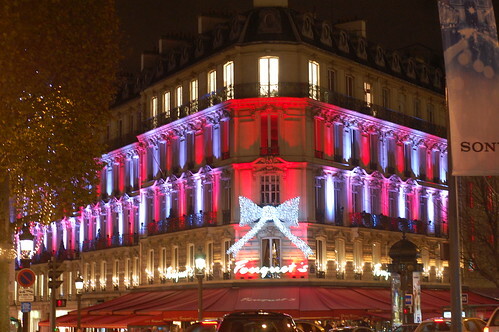 But a few nights ago, my husband asked if I wanted to go to Paris to check out the holiday decorations. Of course I said yes. So we put on our thermals, coats, scarves and gloves and we were off to the city. 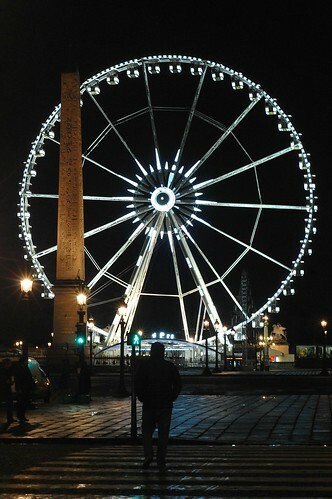 We drove past Champs-Elysées and saw all the twinkling lights, hundreds of wooden shops, and the ferris wheel at Place de la Concorde. 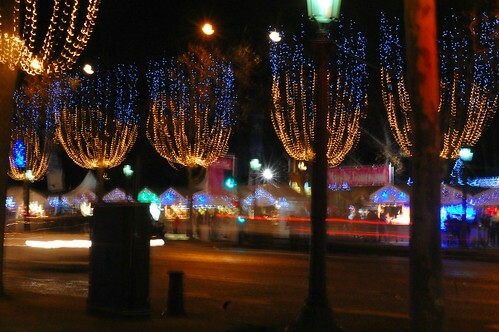 That's when we decided to look for the ever elusive Paris parking spot and go check out the Christmas Market. 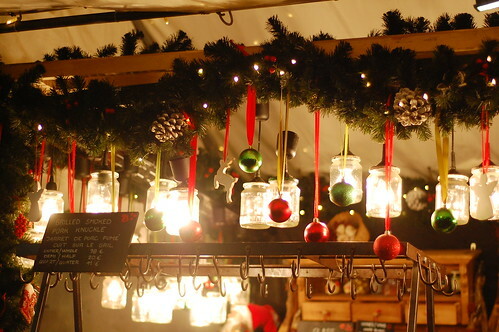 I felt giddy like a little girl because it was my first time to go to a Christmas Market! It was very cold but we hardly felt it because of all the festivities. Everyone was smiling and feeling the holiday cheer. 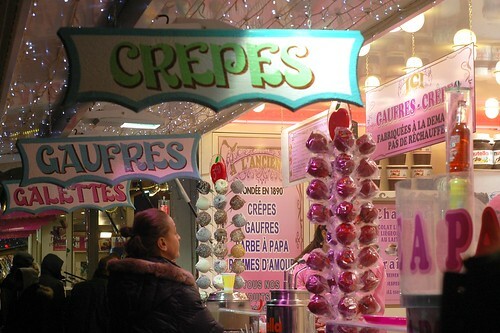 I wanted to try all the candied apples, sausages and crepes. 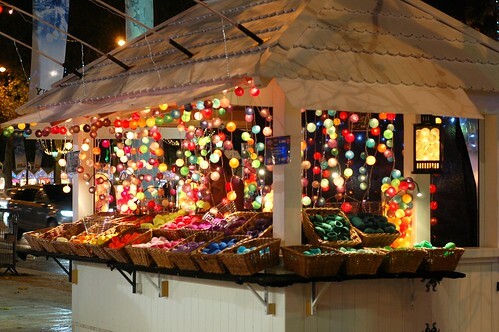 There were so many shops that sold everything from handmade soaps from Marseilles to colorful light balls from Thailand! 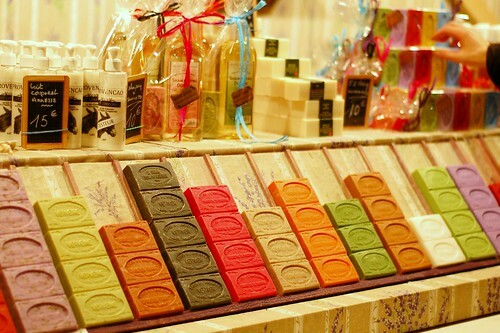 We also found a few artisan shops that sold handmade goods: from greeting cards to jewellery, pottery to leather crafts. There was even a brightly lit ice skating rink with 80's music where you can maneuver your way around trees and stuffed animals. 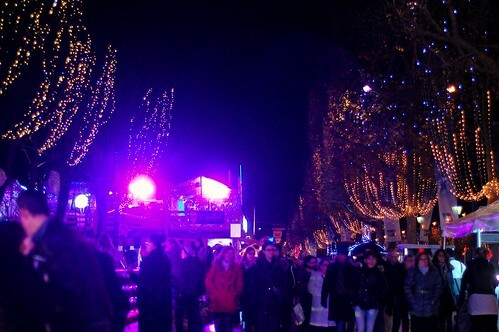 The weather was close to freezing but the atmosphere was warm and festive. 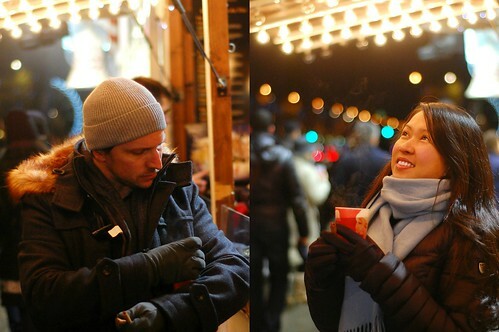 We saw Parisians and tourists alike strolling with us, peeking in to see what’s on display at the chalets and enjoying delicious foods from all over the world or warming up with a hot cup of wine or tea. 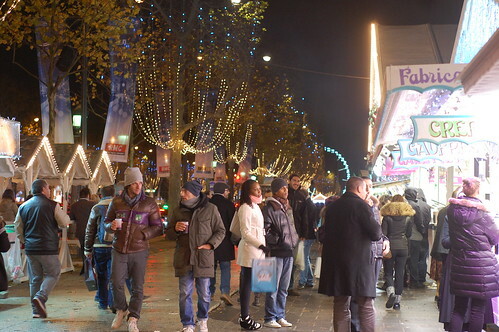 After our stroll down Champs-Elysées, I realized that there were also a lot of shops that sort of strayed from the Christmas spirit. 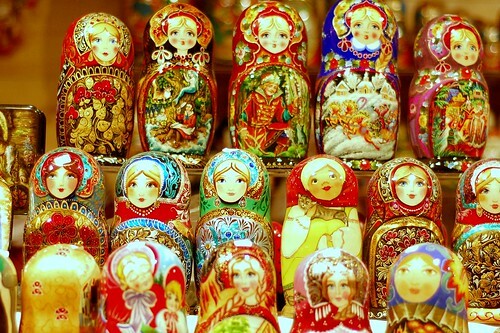 We found techno shirts, tourist souvenirs, even Russian dolls! I wouldn't totally recommend it for shopping because most items were overpriced and not really of good value. 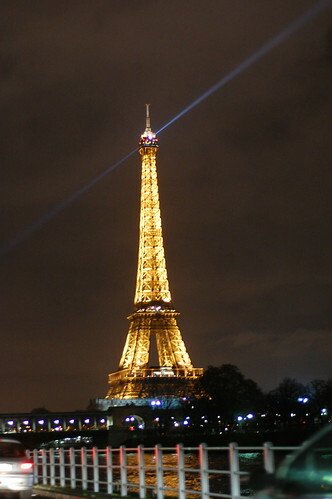 It is Champs-Elysées after all, so it's totally expected. But the memory was still magical for me. 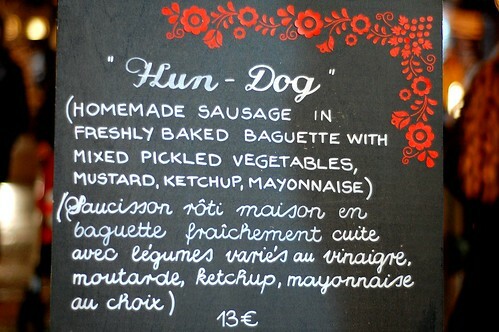 We drank some warm apple cider, sampled cheese raclette sandwich and wolfed down hungarian meat dishes. We marvelled at all the Christmas lights and decorations. We smiled at strangers. I took a lot of photos. It brought me back to a time when I was still excited about Christmas. 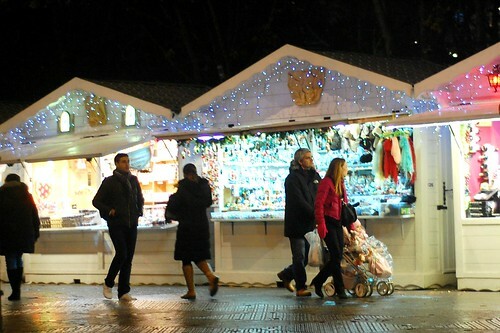 -This Christmas market is not only one of the largest in Paris, but is also the earliest to start. It's open daily from November 14, 2014 to January 4, 2015. 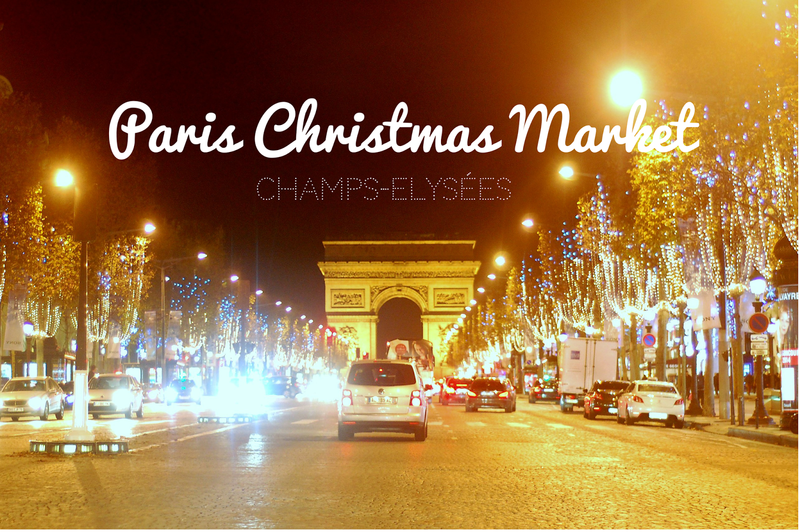 -The shops are along the avenue of Champs-Elysées from Place de la Concorde to Rond Point. 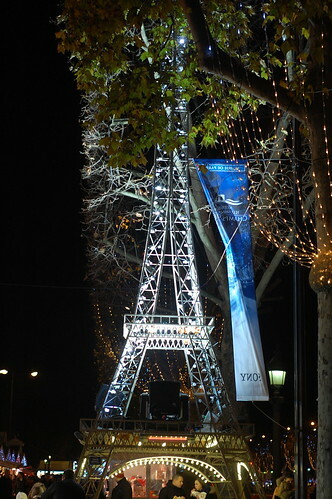 -This is just one of many other Paris Christmas markets. 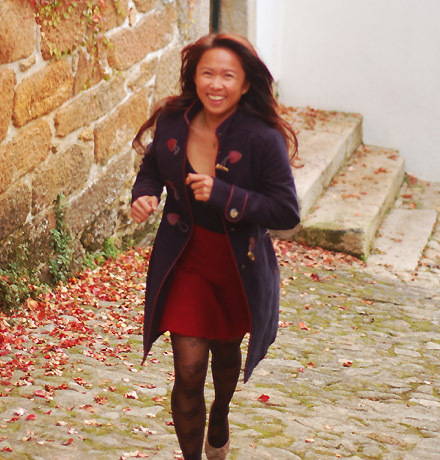 You can check out this guide from Expat Edna. 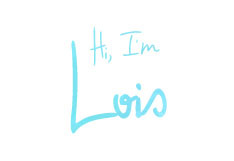 Lois has traveled extensively and has called the Philippines, USA, Germany, Switzerland, Thailand and France, home in various stages of her life. She just recently got married and now has a healthy baby girl. She is currently based in Europe trying to find a home base for her small family. 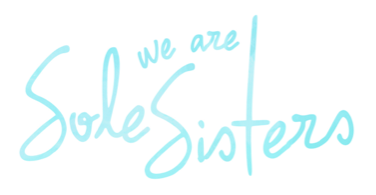 She is the co-founder and Editor-in-Chief of We Are Sole Sisters. Web hosting is the best accepted internet service. You charge a computer, internet affiliation and web browser. Once you ascertain the apple of web pages there is no way back. However, best bodies don't ask themselves area these pages appear from. Web users usually don't affliction about hosting, domains, traffic, bandwidth and added mysql backup abstruse agreement accompanying to web hosting. The accuracy is that reliable and fast web hosting is a key aspect for acceptable user acquaintance while browsing.